Fulfilment by Amazon or “FBA” lets you store your products and fulfil your orders from an Amazon.com/Amazon.co.uk fulfilment centre. Shopify currently allows you to set this up under your Admin account. It currently works for US customers only and requires a 3rd party application in order to ship orders worldwide. In order to set this up, you will need to: Activate Fulfilment by Amazon, set shipping rates for FBA and configure the products for FBA. Shopify already have a helpful guide on how to get this active. What if I am outside the US, e.g I’m in the UK? There are fortunately Apps available which allow non-us based Shopify customers to connect their store with Amazon FBA. One of these that stands out above the rest is International FBA Shipping by ByteStand. International FBA Delivery connects your non-US FBA account along with your Shopify store, permitting you to leverage the ability of Amazon FBA outside of the US. As soon as its setup, your orders can automagically be despatched to and fulfilled by Amazon FBA. Through the ability of the FBA API, ByteStand can mechanically pull in shipping updates and tracking numbers. The app pulls in updates at 5 minute intervals and automatically notifies your buyer when their order ships. Utilising the shoppers delivery information, cart data and your Amazon Seller account, ByteStand dispatch really quick carrier pigeons… (or the Amazon API) out to Amazon. As soon as they arrive, they pick up all of the charges Amazon is deciding to charge then flip round and supply these back to you. ByteStand then take a look at the settings inside your account to offer the final charges to your buyer. ByteStand’s FBA app is embedded within the admin part of your Shopify Dashboard and can be setup in less than 5 minutes. To get setup, ByteStand just need a few bits of information about your Amazon account, some shipping rules and thats it. 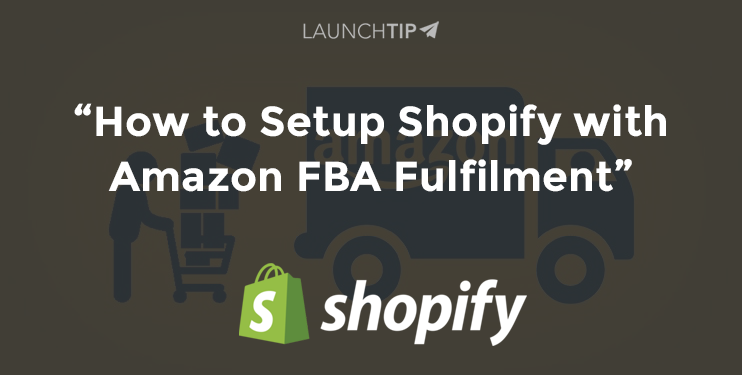 If you want help getting your Shopify store setup with Amazon’s FBA then check out our support plans.